Actor / model Xian Lim said that he isn't soliciting gifts from any of his fans. An alleged accusation from an article said that the actor tweets a "wish list" of things that he wants to get from his fans. Xian said in a interview with 'The Buzz' a showbiz program of ABS-CBN, "They gave me a lot of gifts, totoo iyon. Nagulat nga ako eh kasi kada city mayroon akong isang box na naiuuwi. Of course I don’t ask. Hindi ko naman gagawin iyon. I have my own income. I don’t have to ask for little things." Even though he got some expensive gifts like laptop and a guitar, Xian still said that he have never forced his fans to give him anything. So much with the accusation, Xian still expresses his gratitude for the thoughtfulness of his supporters. 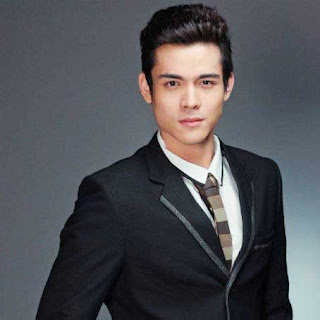 After giving his own statement about the above mentioned issue, Xian also addresses a certain critic named 'David Ho', who deliberately discriminate his talent as a Star Magic Talent. Comments or suggestions about ""I'm not soliciting gifts from fans" - Xian Lim" is important to us, you may share it by using the comment box below.